Blaming Jaguar was perhaps cathartic and while some argued the carmaker might have controlled the narrative a little better in the run up to the XJ-S’ announcement, in reality, the embattled residents of Browns Lane couldn’t control much of anything by the Autumn of 1975, being locked in an almost daily battle for survival against the forces of assimilation. Against this febrile backdrop came the inevitable attempts at alternate realities, the Italian carrozzieri being of similar mind as regards the visual merits of Jaguar’s flagship GT. First across the bows was Bertone who showed their wedge-shaped Ascot concept in 1977, a proposal which Jaguar’s Bob Knight and Jim Randle found as easy to dismiss as Mr Gandini’s successive saloon proposals languishing under dust sheets in the Allesley experimental works. The same year, Pininfarina, who had in 1975 successfully received a commission to restyle Jaguar’s existing XJ saloon, proposed a two seater concept, requesting an XJ-S as basis. With Browns Lane’s cordial but non-committal blessing, a rather well-used development car was provided, which, shorn of its roof and outer bodywork, would be transformed into the putative show-car swan. Styling was the responsibility of Elio Nicosia, a longstanding Pininfarina designer, who under the leadership of Leonardo Fioravanti, would later be credited with the designs for the 1984 Ferrari Testarossa and 288 GTO. Drawing heavily upon Jaguar’s sports-racing heritage; ostensibly the designs of Malcolm Sayer, the XJ Spider as it was unimaginatively dubbed was as much Pininfarina as Jaguar in form, reflecting the pioneering aerodynamic studies the carrozzeria had been carrying out, particularly with the CNR-PF so-called ‘banana car’ concept. Speaking to Car magazine’s Mel Nichols, Pininfarina’s Lorenzo Ramaciotti suggested the design team quickly settled upon the design theme. “It evolved very easily, and it just seemed the ideal shape – a fine blend of Jaguar tradition with a strong but contemporary Pininfarina flavour.” Aerodynamic efficiency also played a significant role, with the car being subjected to testing at Pininfarina’s own wind tunnel, where it was said to have performed better than expected, with a claimed drag coefficient of 0.36. The intention was to have a completed prototype ready for the 1978 British motor show. The car barely made it, arriving as a non-runner and in an incomplete state. Painted in a deep shade of metallic British Racing Green as a nod to heritage, its reception was mixed, one rival designer suggesting to Autocar’s Ray Hutton that it looked ‘like a dark green slug’. By the following year, Pininfarina had completed the car, adding further styling details and ensuring it was both a fully-functional runner and that elements like the roof mechanism and solid state instruments worked. The car was also repainted silver, which did show its lines in a more flattering light. While perhaps the most convincing of all the Italian coachbuilder’s efforts to replicate Jaguar style, the XJ Spider however was something of a curate’s egg from a visual perspective. The Coventry styling cues are easily discerned and unlike the carrozzeria’s XJ12-PF from 1973, are perhaps better integrated, yet somehow, like its forebear, it fails wholly to gel. It’s a broadly handsome shape, of that there can be little doubt, but there is a bluntness to its forms, particularly towards the rear. The issue here is not so much its height (although it was deemed quite radical at the time), more its width, which demonstrates a fundamental lack of appreciation for the nuances of Jaguar design themes. Of course, using the stylistic hard points of the XJ-S, (not for the first time one must note), itself derived from the XJ saloon was hardly conducive to producing a compact, lithe and lightweight sports two-seater, and despite running the risk of sounding needlessly critical, Nicosia and Pininfarina failed to quite capture the required delicacy of form. Creating Jaguars, after all, is a good harder than it might first appear. Having completed the rounds of the auto shows, the XJ Spider, now fully drivable, was featured prominently by the UK press during 1979, with Autocar’s Italian correspondent, Gianni Rogliatti taking to Turin’s streets, accompanied by Leonardo Fioravanti, while Mel Nichols assumed the wheel for Car magazine. In 1991, it resurfaced in the pages of Classic and Sportscar, confined to the grounds of Cambiano’s Studi e Ricerche centre. Needless to say, all who drove it clamoured loudly for it to be immediately commissioned. In 1983, as word emerged that Browns Lane was initiating a new ‘sportscar’ programme dubbed XJ41, Nichols wrote once more of the XJ Spider’s prescience, alleging in Car that the new Jaguar was also to be styled at Cambiano, while declaiming that, as he put it, Pininfarina’s bait had been ‘beautifully taken‘. Which was either a nice line in unsubstantiated hyperbole (a longstanding tradition of both writer and publication), or a deft piece of misinformation from Browns Lane. While it’s obvious that the XJ Spider made it to Allesley where it would have been studied intensely by Jaguar’s engineering leadership, by the styling team and undoubtedly by Sir William Lyons during his infrequent visits to the factory, there is no evidence to suggest that there was any serious intent for the car to be produced. Anyway, by 1979, every available hand was diverted to getting the troubled Series III XJ saloon into production, so the idea of going cap in hand to BL’s Sir Michael Edwardes for a further wodge of cash was not be contemplated. When Jaguar finally did create a car along these lines, there was no thought of involving Pininfarina or indeed, anyone else. XJ41 was created entirely in-house and was notable for being the very last design Sir William lent stylistic input to, prior to his death in 1985. What can be said is that Jaguar’s Keith Helfet, under the guidance of Browns Lane’s éminence grise, did a far better job. But while that car’s torrid tale is one which must continue to remain shrouded in the impenetrable political mists into which it vanished in 1991, there can be little question that the advent of Pininfarina’s 1978 concept spun the thread of an idea in Mr. Engineer Randle’s mind’s eye. Spiders after all, have their uses. I can’t say I like this – it reminds me of an ’80’s or ’90’s Corvette. The rear is particularly bad. This could well be a dumb question, but is it generally more difficult to resolve the rear styling of a car than the front? With a few exceptions this seems a particular issue with booted cars, even when the rest of the car is acceptable. Maybe it’s just me? The last photo really impressed me. It´s a simple idea and nobody did it that I know of. Is it hard to do the rear of a car? No, not especially. I can´t say I ´ve seen an above-average number of saloons with rears worse than I´d like. But I don´t want to dismiss the point. What is it you find inadequate about the ones you did not like? And are there ones where you think they nailed it? Hmm, you’ve forced me think about this more deeply, and perhaps it is purely personal. It’s the general form rather than the details that I have issues with. I certainly don’t like the reverse rake of the rear panel – it seems to contradict the imagined flow of air over the car. It also creates the illusion of large ground clearance which isn’t what you want on a sports car. But then a ‘droopy’ rear end (such as on a modern Mercedes CLA) really doesn’t work for me either – it looks like it’s sagging. The rear of the Pininfarina proposal also doesn’t seem to have enough taper (in plan) – again this seems to create a tension that contradicts the flow of air. It also makes the car look too wide from the rear. Trying to think of ‘my favourite car boot styling of all time’ (I’m having a quiet afternoon) brings to mind an odd selection: the Austin 3-Litre (pity about the rest of the car) and the Rover 400 saloon. Maybe this is too personal. Of course, this is a personal and I like some odd cars too. That said. Austin 3.0 and Rover 400 saloon aren´t the answers I expected. Audi 80, the rounded one before it became a paper size? Opel Omega “B”? Lancia Kappa perhaps? Yes, I like the ‘tidiness’ of the Kappa. I was going to say the Gamma Coupe (one of my all-time favourite cars) but that also suffers from a lack of taper. Alfa Romeo Giulia? Or how about the Lancia Fulvia coupe? Honda Prelude, the second last one? To me the Guilia Coupe beats the Fulvia Coupe in most respects. The Fulvia has a bit of reverse rake to the rear panel and not enough taper. I would’ve been eight or nine years old when this surfaced but I can’t say I’ve ever seen it before and certainly don’t remember this car even though by that age car magazines were something I’d search out. Forty years later, I’m impressed! 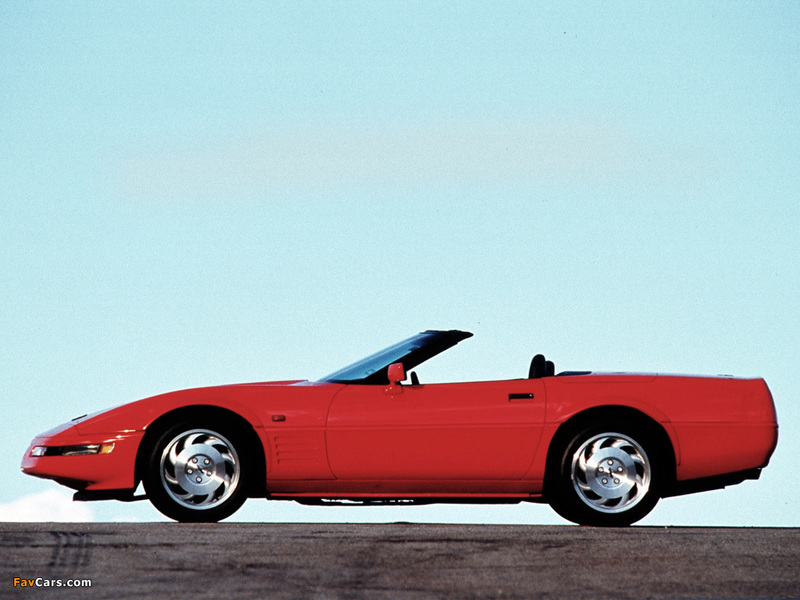 There is a Corvette stance there but I agree with Richard H; that last picture of the rear is an 80’s classic. Perhaps these cars are revered ina parallel universe, like, say, an XJS…. It looks like a Corvette because GM probably liked the look of the car. I resembles the 1997 Corvette C5 most of all. Maybe the 1984 Corvette drew a little from the PF car. That makes the Corvette resemblance not really its fault. A few more points regarding XJ Spider are noteworthy, I believe. First of all, in terms of surfacing and overall appearance, it was a good decade ahead of its time. If it wasn’t for its wheel design and slightly tiptoe-y stance, the PF Jaguar would’ve looked more in keeping with the fashion of 1988, rather than ’78. In that sense, Nicosia’s design was incredibly ahead of its time, particularly when compared to what the competition where doing at the time: Gandini was in the midst of his ill-fated ‘architectural’ phase (whose worst offspring, one would argue, was the horrific Jaguar Ascot). Meanwhile, Giugiaro was more preoccupied with playing with packaging concepts than style and hence continued to employ the same folded paper forms he’d used for the previous part of the decade. As for the lack of Jaguarness, I would point at the long front overhang, uncharacteristically wide-yet-low grille and the tall rear deck as the main culprits. On top of that, Lyons would probably have required his usual bit of sophisticated flash in terms of surfacing. The slightly awkward hint of a bonnet bulge on XJ Spider is both too incongruous and clumsily proportioned to add the kind of magic such details usually contributed to Lyons Jaguars. All that being said, there’s little doubt about XJ Spider being the finest Jaguar design any of the carrozzieri ever created. This also shows in the fact that the successful XK8 (X100) GT of the 1990s shared certain traits (and weaknesses) with the PF design: It too possessed a slightly on-stilts stance, too long a front overhang (albeit drooper than XJ Spider’s) and an uncharacteristic rear aspect. The biggest difference between the two is that the PF design’s surfaces are exceptionally clean and flush, whereas XK8’s appearance was a lot busier and, arguably, more bloated. Yet it was still the best of Jaguar’s own designs of the 1990s by some margin. Have we forgotten the Bertone B99 of 2011? It looks like a Jaguar should, with no need for qualifications. It happens to be better looking than any Jaguar since the oringal XJ Series III, I would contend. The XJ41 has been getting a lot of press lately. Deservedly so as I think it would have been the perfect replacement for the XJS somewhere in the mid 1980s. There is no real nod to the E type, which is probably what killed it. It didn’t fit in with the retro futurism idea that Ford imposed on Jaguar after the takeover. 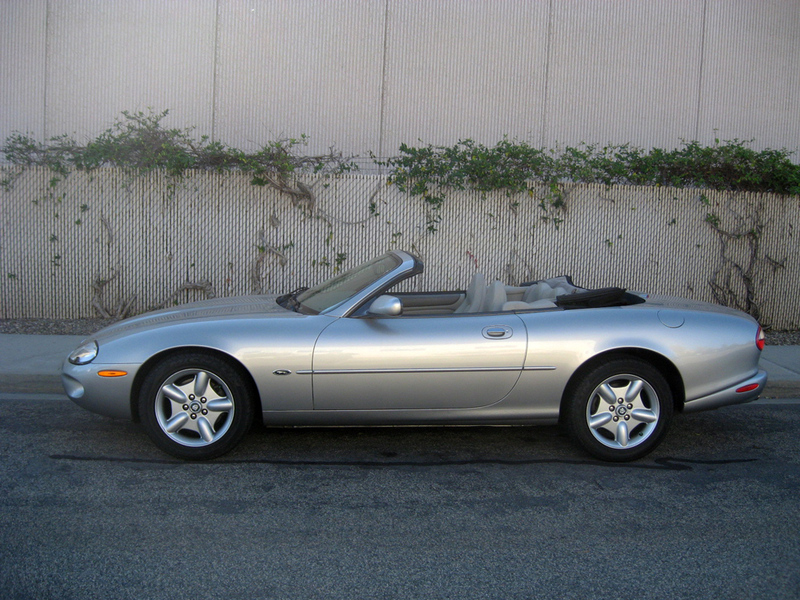 I’ll admit that I like the XK8 as an affordable substitute for the now unattainable early E types. Though they now appear somewhat dated, (not to say less beautiful!) The XJS now emerges as a distinctive and admirable Italian influenced design. Not unlike the Jensen Interceptor. The poor Spider now looks way to long in the front end, not unlike a Dodge Charger Super Bird.